The African Union’s Extraordinary Summit in Addis Ababa in November 2018 focused on reform, specifically the need for more functional and efficient institutions and increased ownership. This particularly applies to peace and security policy where inter-institutional rivalry and lack of coordination between the AU, regional organisations and new ad hoc coalitions such as the G5 Sahel have been visible during many past crises. 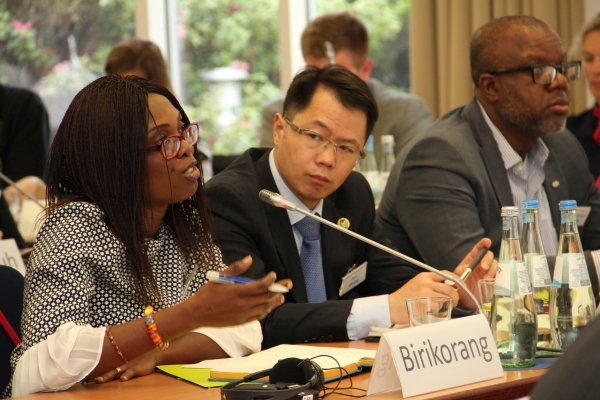 As a result of both regional and international developments, there is a growing risk of external actors increasingly engaging in “forum shopping” as a means of pursuing their own aims and priorities, and adopting a selective approach by only involving certain African partners. Our discussions in Potsdam will explore how strengthening African peace and security capacities could lead to greater ownership. By looking at specific security problems in the regions, we will consider how cooperation between the AU, regional organisations and subregional alliances can be improved. We will also focus on strategies that facilitate constructive cooperation with Western partners and China while better reflecting African priorities. Participation by invitation only. If you are interested in attending the conference, please write an email to Mischa Hansel (hansel(at)sef-bonn.org).